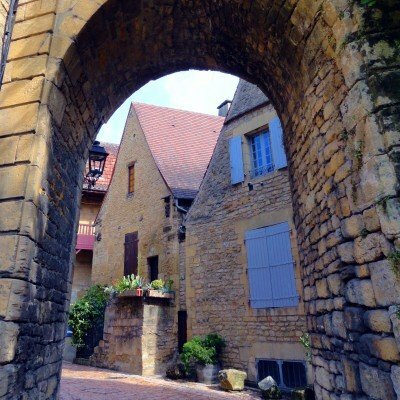 Highlights and 'must sees' include historic Sarlat, capital of the region, and almost too pretty to be true. Try not to miss the famous Saturday market! Carennac, overlooking the Dordogne, has been awarded un des plus beaux villages status, and it's not hard to see why. Stroll around in the evening and soak up the atmosphere of this beautifully preserved riverside town. Rocamadour is one of the most spectacular places in France, and is a major religious site. Ancient chapels, restored houses and an elegant C14 fort hang proudly by their fingernails from a near-vertical cliff high above the valley floor. If you fancy being extra-active during your stay here, the region offers a plethora of things to do: canoeing on the rivers, hidden caves, prehistoric art, wine tasting, animal parks and boat trips. The vast majority of our hotels in this region have private swimming pools too. 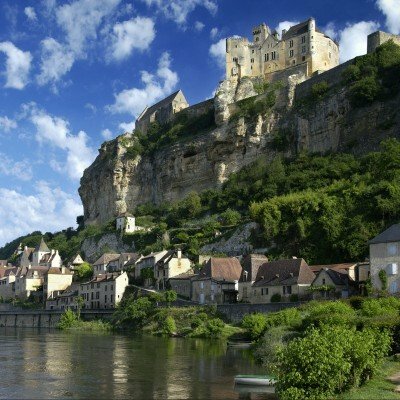 Our walking and cycling holidays in the Dordogne are based in the heart of the Perigord Noir, a region of gorgeous hill villages and delightful market towns, nestled snugly between the Dordogne and Vezere rivers. The wealth of prehistoric and mediaeval influences, its dramatic landscapes and its rich cuisines distinguish it from everywhere else in France. 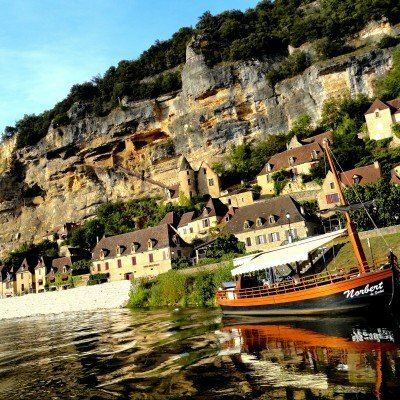 This walking holiday explores the limestone cliffs, wooded valleys and beautiful mediaeval villages that are so unique to France's Dordogne region. World famous prehistoric sites and fine local wines add a further dimension to a stay here. 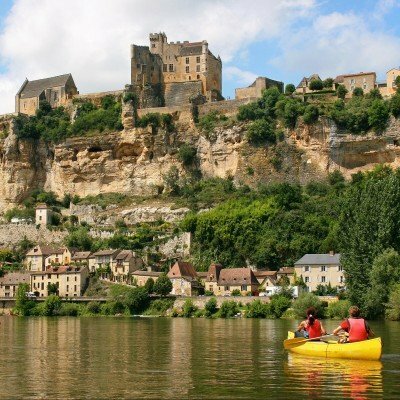 Safe, undemanding canoeing holiday on the most celebrated river in France. Great choice for families - all hotels have pools and, for a limited period, all customers will have the option to hire a fully kitted-out bike for all non-canoe days making it easy to explore locally too.